The young couple that moved into the Oliver Comstock House had a notion to name their new baby Hannah. Within days of Hannah’s birth, strange events began occurring. The piano keys were banged on in the middle of the night. The name “Hannah” was written on the wall in pencil. Doors opened and closed on their own. The couple soon discovered that the home’s original owner, Oliver Comstock, was married to a woman named Hannah. 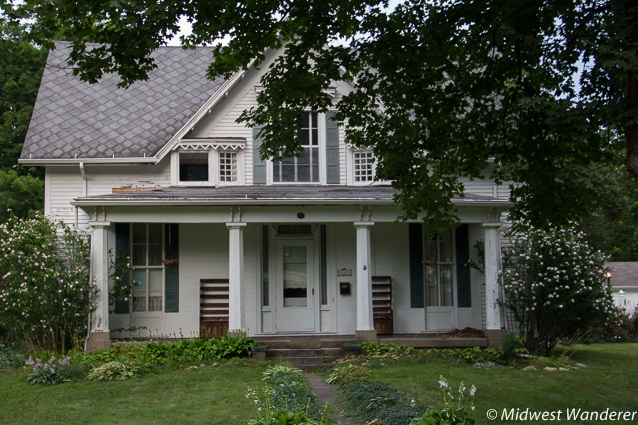 The Comstock House is just one of several haunted homes we stopped at during our horse-drawn Marshall Carriage Company ghost tour of Marshall, Michigan, the only such tour in the United States. We climbed aboard the black wagon, pulled by horses that were formerly used by the Amish for field work. 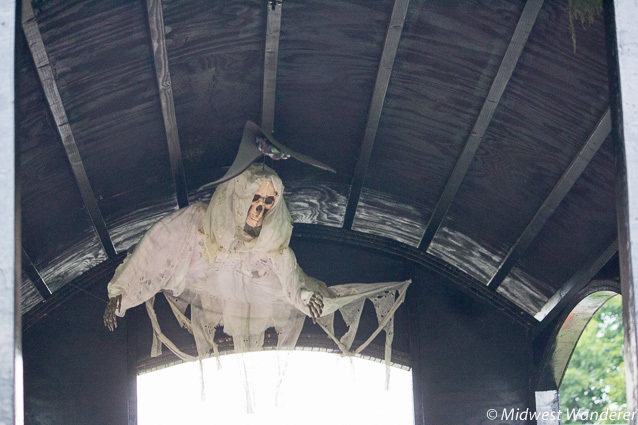 A skeleton ghost and bat hung from the wagon ceiling, setting the tone for a spooky evening. 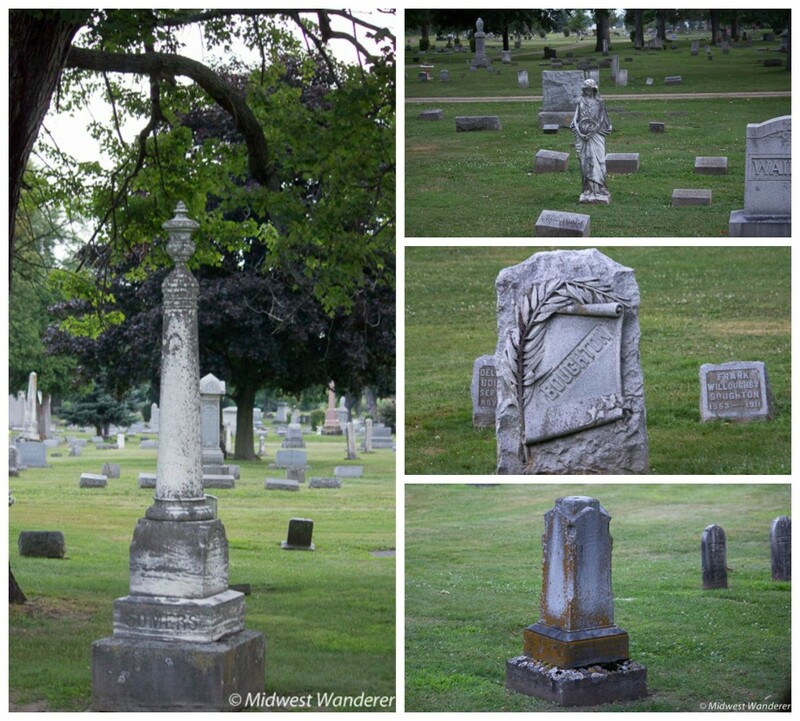 One highlight of the tour was a ride through Oakridge Cemetery, where some graves date back to the 1700s. 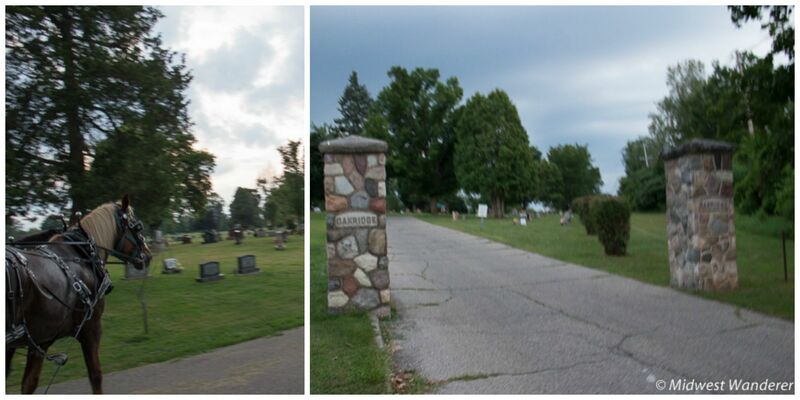 As the horses clippety-clopped through the cemetery roads, Brian, who co-owns the Marshall Carriage Company with his wife, Courtney, related stories of ghost sightings near tombstones as Courtney drove the team of horses. Ghost sightings include a fugitive slave holding the hand of a young girl, believed to be his daughter; the shadow of a man, once captured on film with a woman; and a young woman dressed in 1980s clothing who often walks through the cemetery and then disappears. Back in town, we stopped in front of a little red house that Brian, Courtney and their two children lived in when they first moved to Marshall. It wasn’t long after they moved in that paranormal activity began to occur. They heard both heavy and the pitter-patter of little feet upstairs. Babysitters reported seeing a little boy who wasn’t one of their charges. One of Brian and Courtney’s sons felt a hand pat him on the head during the night. Brian told several more ghost stories and explained that many of the houses in Marshall have graves right in the backyards or sometimes in the basements, common practices in the 1800s. 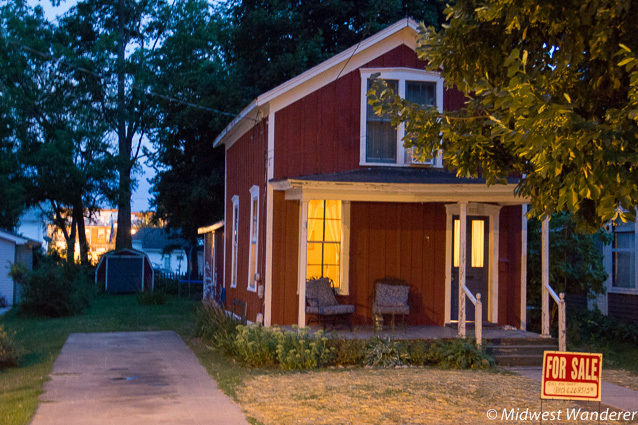 Besides ghost stories, Brian gave us a history lesson on Marshall, the town that was founded with the plan of becoming Michigan’s capital, but it didn’t happen. Marshall then became big in patent medicine, but all of those manufacturers were shut down when the Food and Drug Administration came into existence. It was a big railroad town until the railroads moved their operations to Jackson, Michigan. “So we like to call it the little town that couldn’t,” Brian quipped. It was nightfall by the time we finished our tour on an August evening, and I was thinking that as eerie as the stories were throughout the tour, come fall when dusk comes earlier, the tour would be that much spookier. 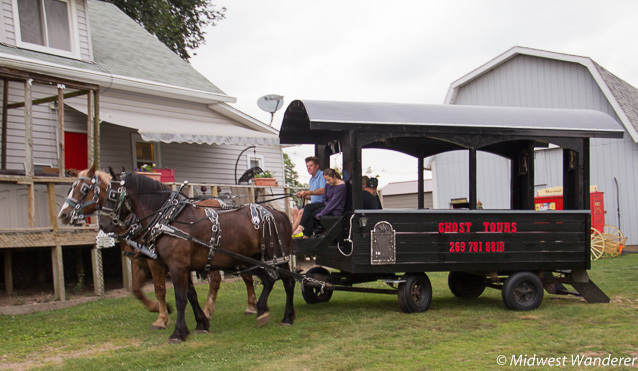 The Marshall Carriage Company, located at 1000 E Michigan Avenue in Marshall, Michigan, offers ghost and historic tours 364 days a year. They also operate the world’s only horse-drawn ice cream wagon during the summer and an indoor haunted experience in the fall. Check the website for details or to make reservations. Editor’s note: Since this article was published, ownership of the Marshall Carriage C. & Ghost Tours changed hands. David and Sheryl Dowding own the company as of July 1, 2016. They offer historical tours, carriage ghost tours, hearse wagon ghost tours and walking ghost tours. The web site is still under the former owners, so please call (269) 781-8818 to check tour times and to make reservations. Tours are by reservation only. Find the best hotel deal in Marshall, compare prices, and read what other travelers have to say at TripAdvisor. Disclosures: We received discounted tickets to the Marshall Carriage Company ghost tour. However, all opinions in this article are my own. Photos by Skip Reed. This article contains an affiliate link, which means that if you book a hotel room through the TripAdvisor link above, I will receive a small commission, at no additional cost to you. Thanks for showing me more about this ghost town tour in a carriage! 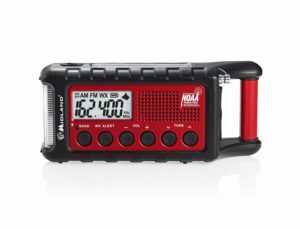 My wife would absolutely love something like this because she is really into spooky and scary things, especially movies. Just like you said, however, taking the carriage ride is a must when exploring this little-haunted town. Thanks again! Thank you, Michael. We took the tour during the summer. It would be more effective close to Halloween!